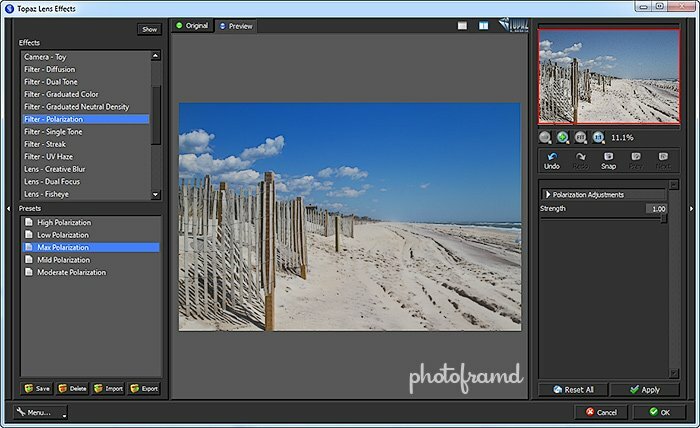 AND you can even upload your own Aperture Shapes and Vignette Masks! These new filters are in addition to the original Len Effects Filters of Bokeh, Creative Blur (“Lens Baby”effect), Tilt-Shift Lens, Toy Camera, Pinhole Camera, Single Tone Filter, Dual Tone Filter, Graduated Color Filter, Graduated Neutral Density Filter, Fisheye Lens, Motion Blur Effect and Split Prism Effect. 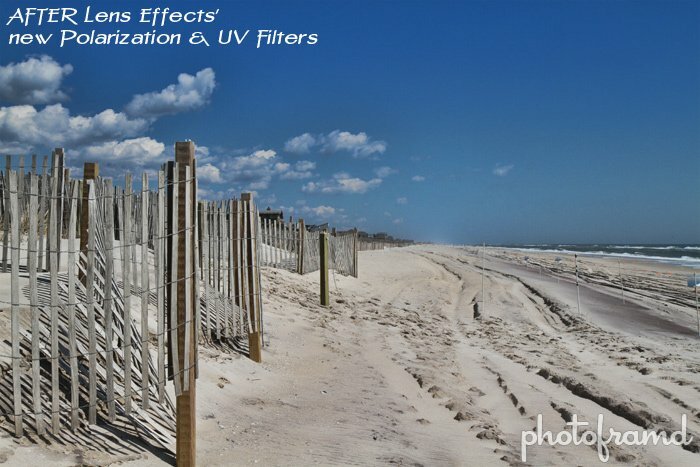 Best yet, this is a FREE update for registered owners of the original Lens Effects plugin. My favorite addition is the new Polarization Filter and UV Filter. Take a look at the above photos. Just like the other Lens Effect Filters, they are stackable within the plugin and can be applied together before clicking the final “OK”. 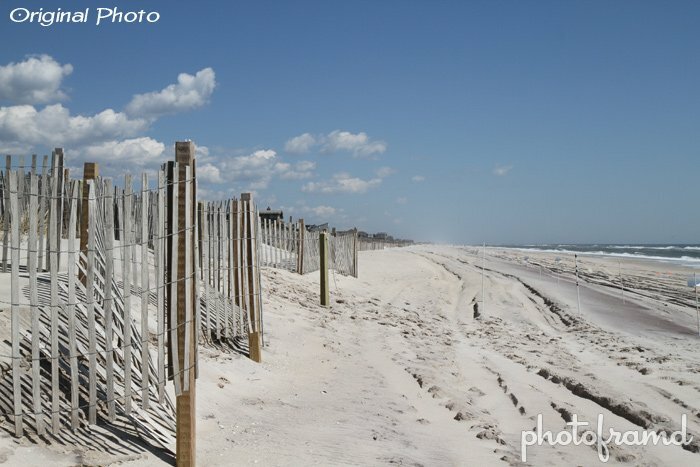 The first photo has both the Polarization Filter to deepen the sky and the UV Filter to remove glare and enhance details in the sand. The effect is completely natural and realistic! Both the Polarization & UV Filters are automatic. No masks necessary. Just move the slider to adjust the filter’s effect. Simple! Topaz Lens Effects lists for $79.99. But, for a limited time, you can get Topaz Lens Effects for only $49.99 with the coupon code lenstastic. As with all Topaz Labs filters, you can download a trial version to play with first. Topaz Labs even has a new series of live Webinars to show these new effects in action and answer questions about this plugin. So,take a look and download today!